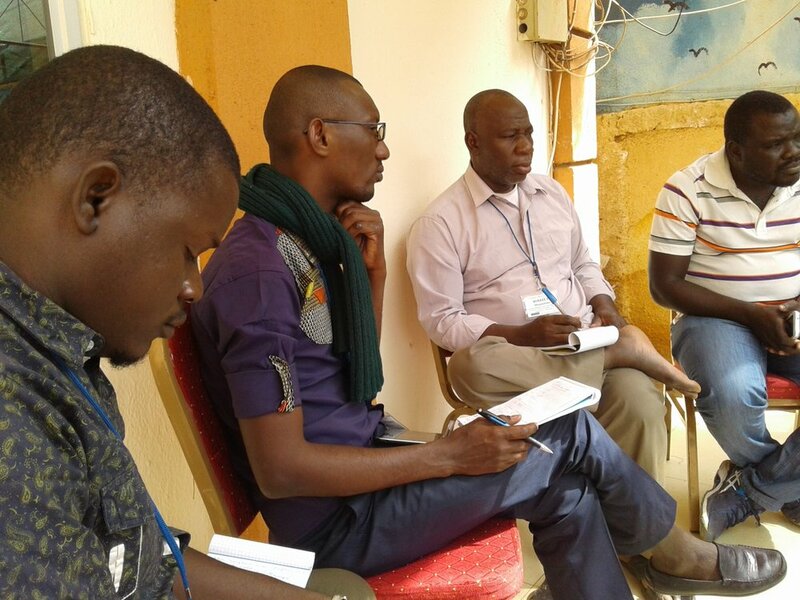 From January 16-21st, the 2017 cohort of SLP fellows from six West African countries met for an intensive training in Niamey, Niger to learn about the intersection of population, health, and regional food security. See photos from this inspiring and powerful week of dialogue, relationship-building, and sharing of innovations. Fellows engage in a role play to improve their targeted communication skills with high level decision makers. Fellows Soumana Hadizatou and Pitibaye Peter practice conveying a message intended to convince their audience to take action. 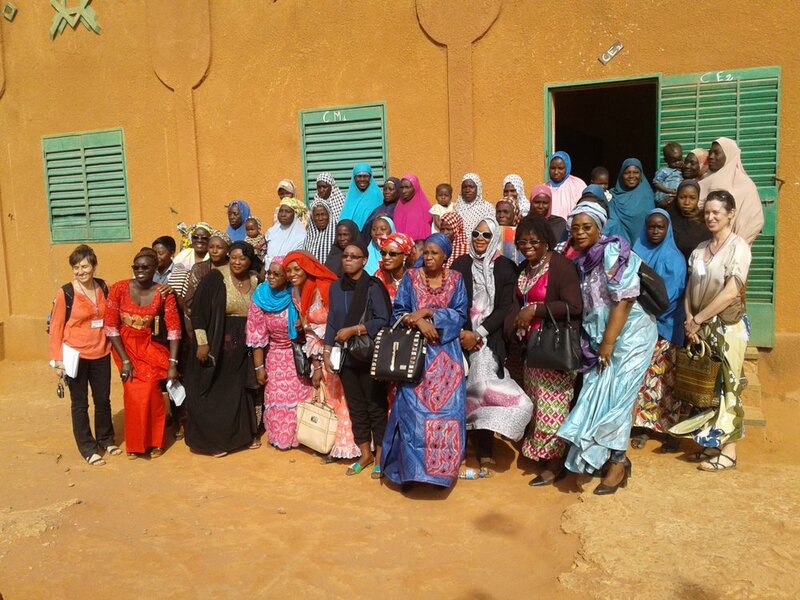 2017 fellows and organizers gather with the women gardeners of NGO Libo in Niamey.